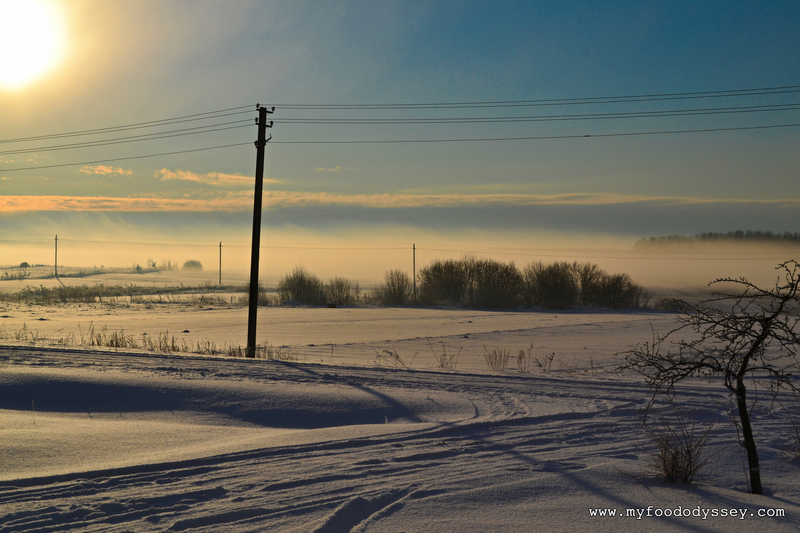 Winter has been brief in Lithuania this year. We had unseasonably balmy temperatures in December and didn’t get any real snow until after Christmas. 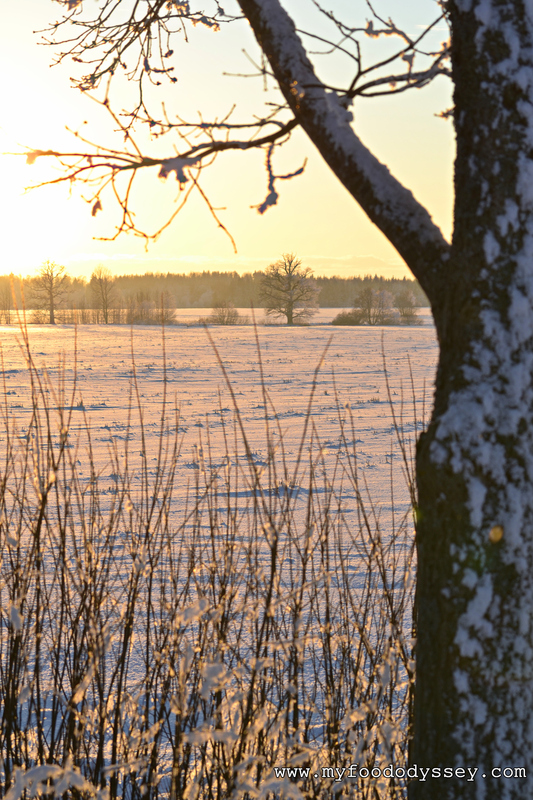 We had two or three weeks of what I consider a typical Lithuanian winter, with snowy fields, clear skies and a low sun that highlights the stunning scenery. Fearing it would not last, I got myself stuck in the snow trying to take photos while I could. These are some of my favourites from that day. I love the mist that hung over the trees just opposite our house. I love the snow on the grasses by the side of the road. And I love the golden colours. Today I saw a flock of geese flying across the fields. Their presence at this time of year is unusual, to say the least. The seasons are changing. Your beautiful photo of the grasses in the field is what made me click to your blog. Then I read they are photos from Lithuania! 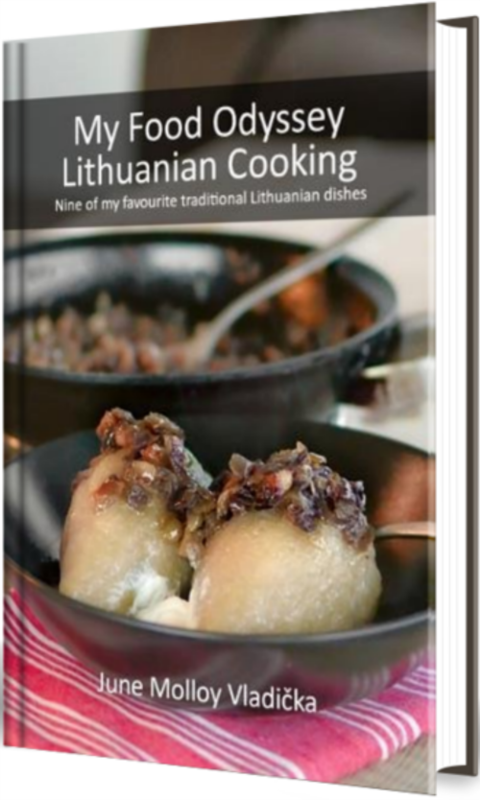 I am American of Lithuanian descent and no nothing about the country that is half a part of who I am. -Beautiful! Thanks Holly. Yeh, Lithuania really is beautiful, with the most amazing sunsets of any country I’ve visited. If you have a bucket list, Lithuania should definitely be on it! It’s possible that I’ll be there in fall 2017! I definitely need to discover a bit about my heritage. If you’re planning a trip and you need any help, just give me a shout. Would be delighted to help. 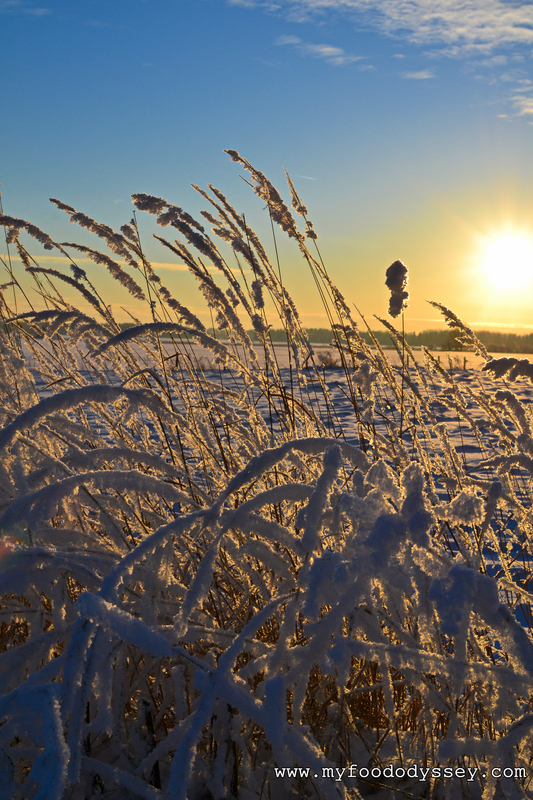 I love the way you’ve captured how the sun makes the snow sparkle. Beautiful pictures June! I love these lanscapes and I love snow days, the mystery it generates. Beautiful photos June. I too love that crisp, blue-skied wintry weather. We rarely get it where I live. 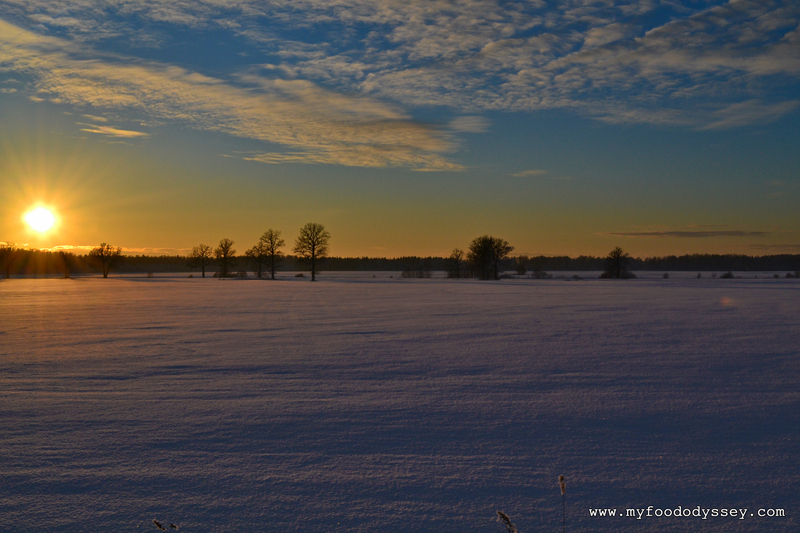 Your first photo looked like summer – but then saw all the snow (that stuck u) – very nice! Absolutely stunning images, June. And such unusual weather patterns.